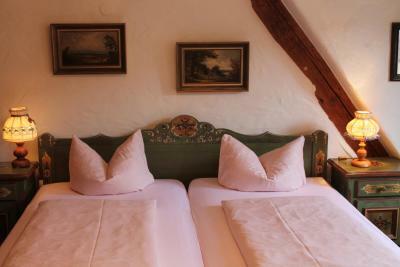 Lock in a great price for Hotel Spitzweg – rated 9 by recent guests! The quaint charm of the old hotel. The hand painted furniture was so unique. 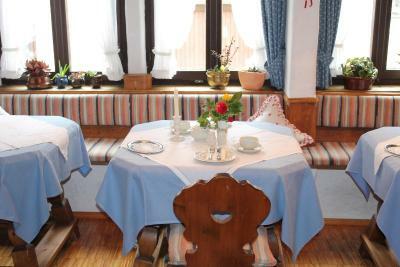 Loved the breakfast - the staff was delightful and the food was very good. Excellent breakfast. Car park was a bonus. Good location. The family room was spacious for me, my husband, and my 16- and 18-yr old children. Beds were comfortable. Bathroom was a nice size and clean. The shower has great water pressure. And the towel rack is a warming rack! The woman (Manuela?) who served us breakfast is very nice and makes great scrambled eggs. The breakfast spread is nicely done and very filling. 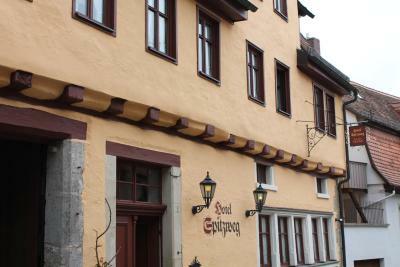 The hotel is a very short walk to the Marktplatz and is near all the action. This was the first leg of our trip. We will be extremely lucky if all of our accommodations end up as nice as this. The location was fantastic. 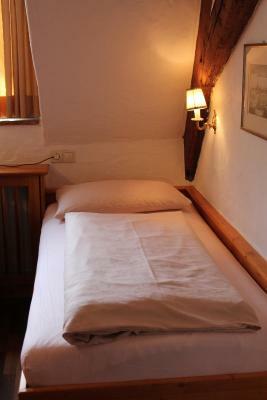 The rooms were wonderful and the beds were comfortable. Breakfast was delicious. Staff were very kind and helpful. A sweet, quiet little place to stay in the middle of it all. Feels like you're back in time. Big room and bed. Nice decoration near city center. When we arrived the hotel was closed! I assured the person at the other end of the intercom that we indeed had a reservation. A few minutes later he came amiably rushing down the lane and apologized for the mixup but yes, the hotel was actually closed that night but he did find our reservation so opened it just for us. We literally had the entire hotel to ourselves. He made sure the staff came in the morning and made us the most delicious and enormous breakfast of our entire two week travels! So accommodating! Would definitely stay here again! 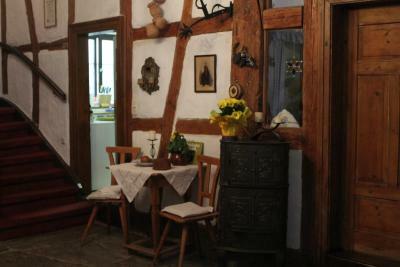 Beautiful very cozy place, perfect location and very friendly and helpful staff. The staff are very friendly - we felt welcomed from the beginning. Breakfast is standard European continental, but they will make you scrambled eggs upon request. Location is excellent. 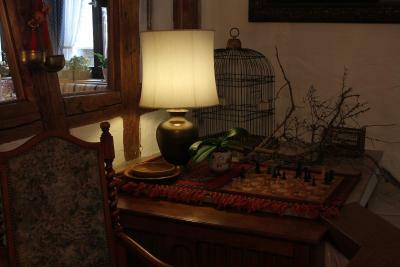 The property is well taken care of and the rooms are cute and cozy. 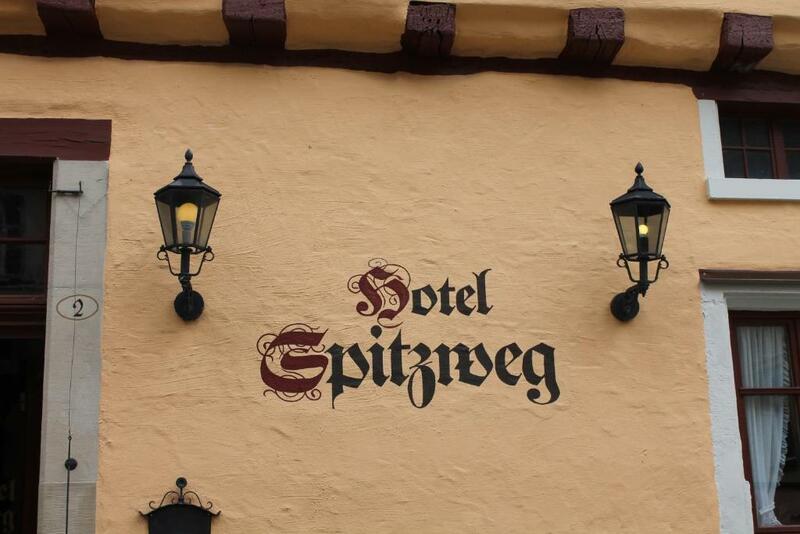 Hotel Spitzweg This rating is a reflection of how the property compares to the industry standard when it comes to price, facilities and services available. It's based on a self-evaluation by the property. Use this rating to help choose your stay! 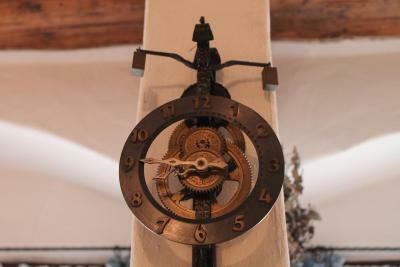 One of our best sellers in Rothenburg ob der Tauber! 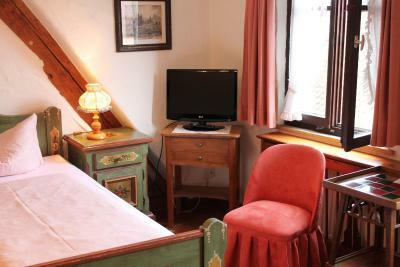 Hotel Spitzweg is located in Rothenburg ob der Tauber, 650 feet from Rothenburg Christmas Market. Private parking is available on site. Every room includes a TV. 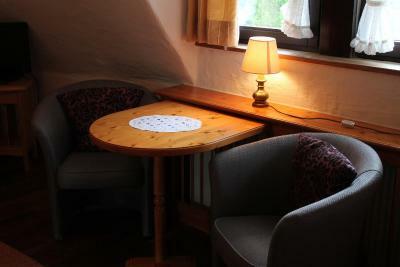 Certain rooms feature a seating area for your convenience. Every room is equipped with a private bathroom. 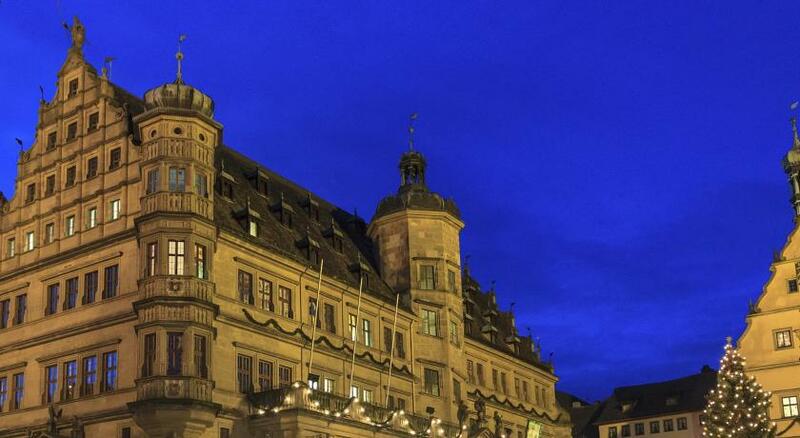 The nearest airport is Nuremberg Airport, 41 mi from Hotel Spitzweg. 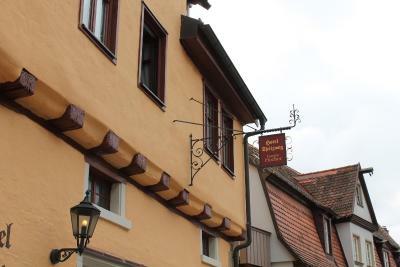 This is our guests' favorite part of Rothenburg ob der Tauber, according to independent reviews. 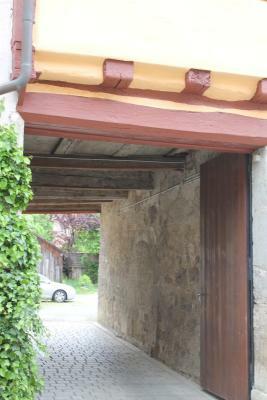 This property also has one of the top-rated locations in Rothenburg ob der Tauber! Guests are happier about it compared to other properties in the area. 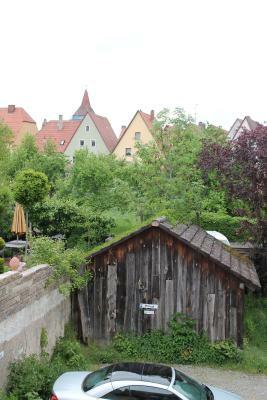 This property is also rated for the best value in Rothenburg ob der Tauber! Guests are getting more for their money when compared to other properties in this city. When would you like to stay at Hotel Spitzweg? 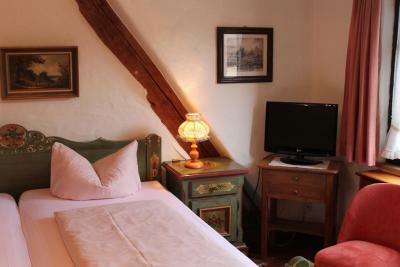 Designed in classic style, this room includes satellite TV and an private bathroom with a hairdryer. 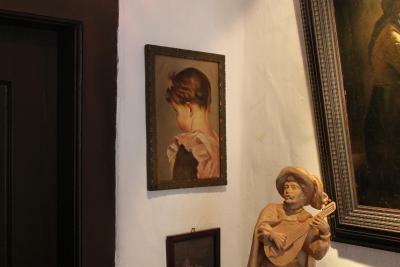 House Rules Hotel Spitzweg takes special requests – add in the next step! Hotel Spitzweg accepts these cards and reserves the right to temporarily hold an amount prior to arrival. Please note that free parking parking is subject to availability. Please inform Hotel Spitzweg of your expected arrival time in advance. You can use the Special Requests box when booking, or contact the property directly using the contact details in your confirmation. 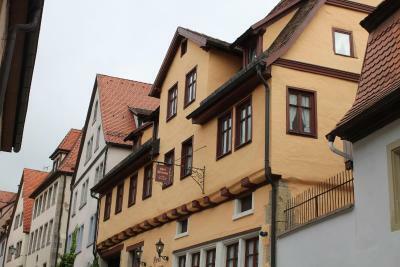 It was in the perfect location for seeing all the sights of the old town. The breakfast was very good. The security arrangements for getting the key were clever and easy. The staff was friendly and allowed us to keep our car there after checking out so that we could see more of this beautiful medieval town. Shower was a little small and we had difficulty keeping the water from coming out of it. But nothing that a towel on the floor can't help! Everything was really great. The WiFi was a little slow, but that’s being nitpicky. There is nothing to say negativ about acommodation. 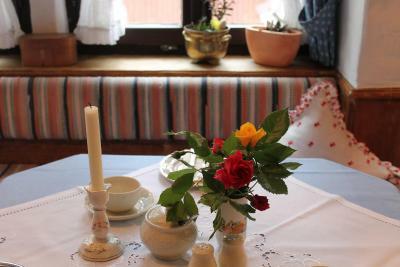 The staff was very nice and more than helpful, room was so comfortable and cozy, vintage and a the same time like a fairytale. Every moment was a dream come true. 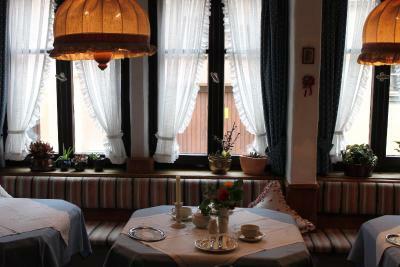 I would recommend this hotel to those who like vintage and family feeling. Breakfast was delicious and enough per person. Even it was very cold outside in the room was more then warm. So with everything said I must say this was my magical happy place. Thank you very much. The internet connection is slow and could be improved - a minor thing though. 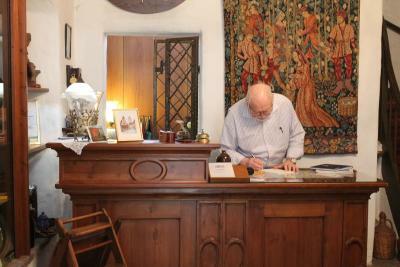 The hotel is run by an elderly couple who were very kind, hospitable and helpful. 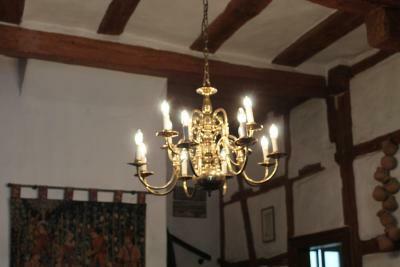 It has a homely feeling which is not there with big hotel chains. They also offered us help for our 2.5 year old daughter if she needed something and allowed us to keep the pram on the ground floor. As I had lived and studied in Germany before - it felt like being at home again. 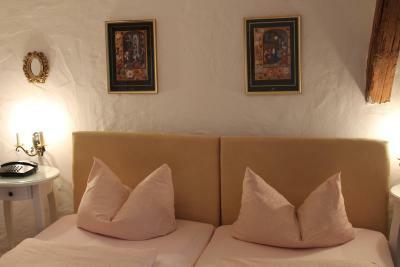 Other things were also super - the rooms were clean, the breakfast good and location within the old town walls. The building has no elevators but this is not a big problem as it has only ground and first floors. Wonderful owner and staff! Breakfast was great! Helpful staff who will assist with directions and/or reservations! There are no elevator and the stair is narrow for people with big luggage. 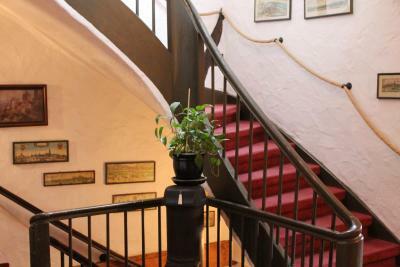 A beautiful, characterful property, just a hop, skip and a jump from the town center. Decor very appropriate for the setting. Breakfast room very quaint with a more than satisfactory breakfast offered. 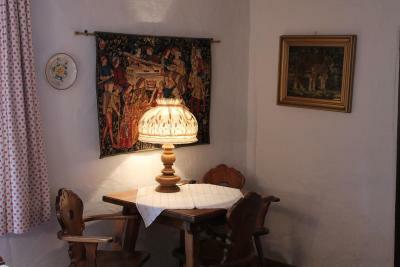 An ideal property for a stay in the ancient town of Rothenburg. Well that our reservation was a little "lost" but he made it right. 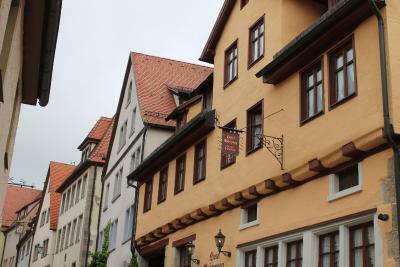 A charming hotel in the centre of Rothenburg. 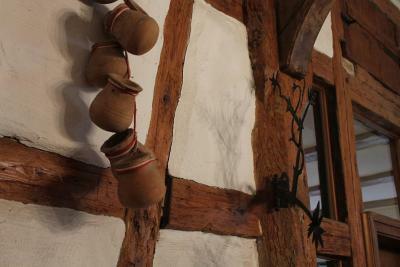 Authentic "old world" German with great decor. The owner and staff were friendly and helpful. The breakfast was good. There was free parking. Location was excellent. It was a great value. Sleeping was difficult due to a very squeaky bed - every time either of us moved it disturbed our sleep. There was no lounge or sitting area in the hotel so you are either in the room or outside. The room could do with tea/coffee making facility as there is no mini bar/fridge. Personally I like to choose from a buffet breakfast but we were presented each morning with a platter of pre-prepared salami/cheese/ham and a plate of scrambled eggs and two bacon rashers - so only cereal was 'help yourself' - I believe you pay for the location rather than what you get as a hotel guest. 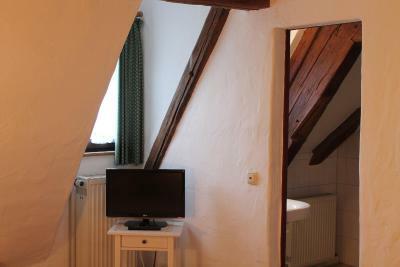 Perfect location within the old town - helpful and friendly staff - large room. Hotel full of character!